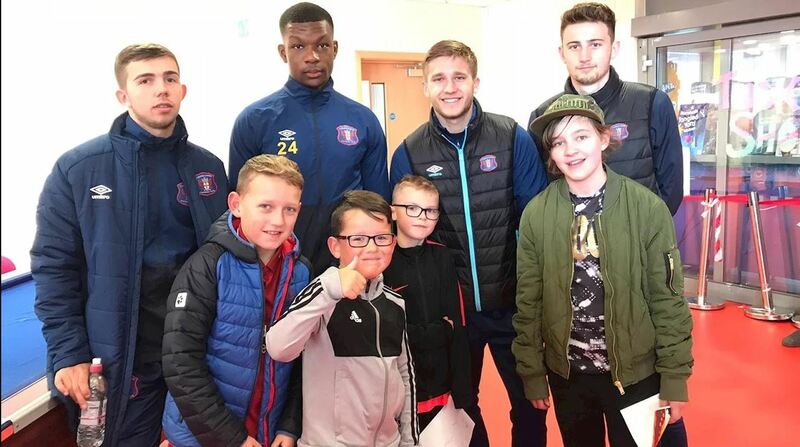 First team players Sam Adewusi, Max Brown, Jack Egan and Kieron Olsen visited Carlisle Youth Zone on Saturday afternoon ahead of the Yeovil Town match at Brunton Park. The players were introduced to the children before having a kick around and a few hotly contested games on the xBoxes, as part of a new initiative which looks to strengthen the connection with our local youth facility. Carlisle United’s director of football David Holdsworth said: “We want to build stronger links with the Youth Zone because we think it’s a wonderful facility for children, teenagers and young adults. “There should be a lot we can do together because they’re based so close to the stadium, and they do some fantastic work with a wide range of young people within and from our community. CUFC will be visiting again Saturday 3rd November 2018…..